As they enter their Canfield Casino wedding reception into the historic ballroom, Crystal and Dave rejoice like victorious Olympic athletes. This is one of my most favorite wedding reception venues and is the best wedding reception venue in Saratoga Springs, NY. Well, for that matter, Canfield Casino is one of the best and most unique wedding venues anywhere. And this is an all time favorite Canfield Casino wedding photo of mine. If you’re looking for unique wedding photographers in Saratoga, then we should definitely speak. As a top wedding photojournalist in Saratoga, my work is driven by the words: moments, not just poses. Of course I’ll shoot some great staged and posed family formals. And of course I’ll do some great posed portraits of you and your new spouse. But my work as a wedding photojournalist and documentary wedding photographer in Saratoga Springs goes so much further than that. Traditional wedding photographers work from a fairly rigid checklist. And the core of their work is based on posing and staging their photos throughout the day. We’ll work on a thorough plan for the day to ensure you get the photos you want … without having to disappear for hours on end to take photos! So take a look through my full website and blog. 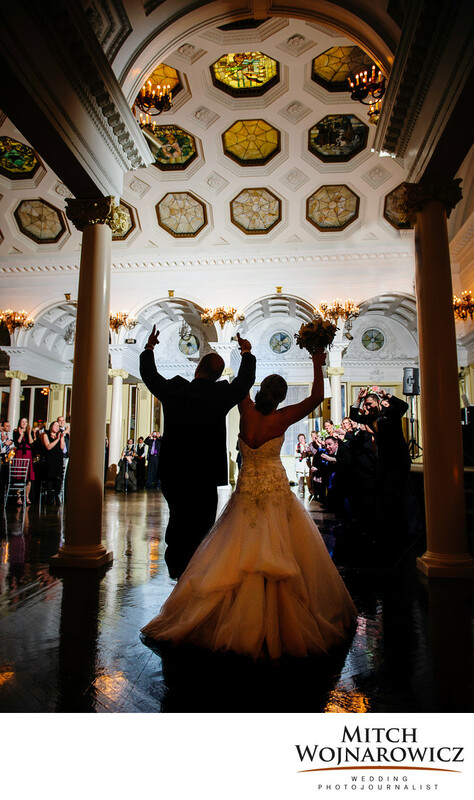 You’ll see a lot more Canfield Casino and Saratoga NY wedding photos. If you’d like, get in touch with me and I can send you some links where you can see a lot of unique Saratoga wedding photos from the hundreds of weddings I have photographed in and around the city. It would be great to speak with you about how, as a Saratoga Springs wedding photojournalist, I can fit into your vision for your wedding day. Having decades of experience and having photographed hundreds and hundreds of wedding, I have a lot of thought sand ideas to share with prospective couples. After all, I’ve done this so many times and it gives me a great feeling to help people get on the right course for their wedding day. Or, to just begin figuring out what that course is for them! There are so many pitfalls that can be avoided and disappointments that can be solved ahead of time when you work with a deeply experienced Saratoga wedding photographer. Use This Link and let’s speak a bit about your wedding! I look forward to hearing from you.